Powerhouse previews: In greeting the New Year we take comfort in starting out with a beautifully blank slate. But that's not the case for Hollywood. Rather than having a blank slate to work with, Hollywood faces a release schedule for the New Year that's already locked in, especially in terms of key summer and holiday dates. In fact, not only is 2015 already spoken for, so for the most part is 2016. But that's getting way ahead of ourselves. For now, let's just look at the New Year and what it holds in store for moviegoers. Overall, there's a lot to look forward to, particularly for those who enjoy the powerhouse franchises that have dominated the multiplexes in recent years. In fact, there's so much worth pointing to that I'm going to focus here today only on openings from January through June. I'll spotlight July through December openings here next week. Needless to say, these are only a handful of the highest profile titles on the horizon. Many more films will be coming our way, including some sleeper hits that can't be spotted this early. Here's a quick look at what to watch for over the next six months. JANUARY:The New Year should get off to a fast start with 20th Century Fox and Europa Corp's Jan. 9 launch at about 3,500 theatres of the PG-13 rated action crime thriller "Taken 3. "Directed by "Taken 2" director Olivier Megaton, it stars Liam Neeson, Forest Whitaker and Maggie Grace. "T3" is tracking in double digits as an overall first choice. It's doing best with men over 25 and nearly as well with under-25 males. Neeson plays former covert operative Bryan Mills. When his ex-wife is brutally murdered, he's framed for the crime, goes on the run and is pursued by the police, CIA and FBI. Mills must track down the real killers, exact his unique brand of justice and protect the only thing that matters to him now -- his daughter. 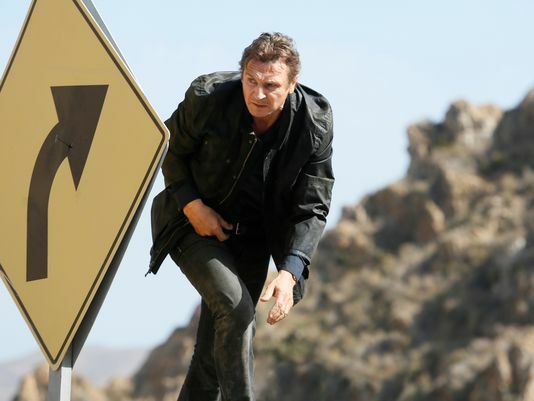 The previous episode, "Taken 2," opened Oct. 5, 2012 to $49.5 million and went on to do $139.9 million in domestic theatres. The original "Taken" opened Jan. 30, 2009 to $24.7 million and ended up with $145 million domestically. Jan. 16 will see Warner Bros. and Village Roadshow's R rated biographical action drama "American Sniper" go wide after a strong Dec. 25 limited launch at four theatres. Directed by Clint Eastwood ("Million Dollar Baby"), it stars Bradley Cooper, Sienna Miller and Jake McDorman in the true story of a U.S. Navy SEAL, Chris Kyle (Cooper), with over 150 confirmed kills to his credit. "Sniper" is tracking in double digits as an overall first choice. It's doing best with men over 25 and almost as well with under-25 males. FEBRUARY: Feb. 13 is opening day for one of 2015's most anticipated films -- Universal and Focus Features' romantic drama "Fifty Shades of Grey. "It's based on the worldwide best-selling novel by E L James, whose "Fifty Shades" trilogy has sold over 100 million copies. The film's likely core audience is women under and over 25, who tend to turn out in "girls' night" groups that can drive ticket sales wild. Having "Fifty" in theatres for Valentine's Day will help, as well. MARCH:Mar. 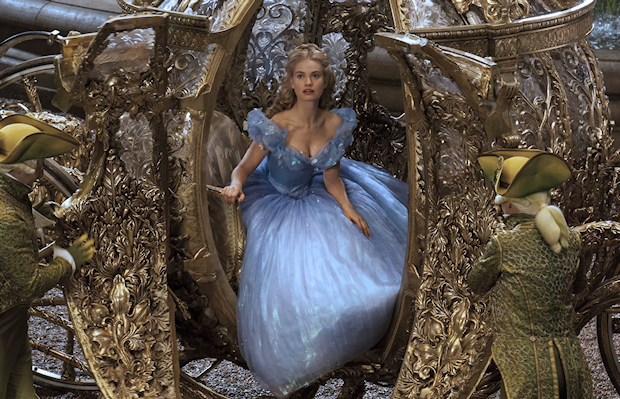 13 will see Walt Disney Pictures' PG rated family adventure drama "Cinderella" dance into theatres. Directed by Kenneth Branagh ("Thor"), it stars Lily James, Helena Bonham Carter and Cate Blanchett. It's a live action retelling of the classic fairy tale about a famously mistreated stepdaughter who winds up fitting a glass slipper and finding her prince. "Cinderella's" likely core audience will be women under and over 25, which includes the moms-with-kids audience that family films always need to attract. Also on deck for Mar. 13 is Paramount Pictures and Blumhouse Productions supernatural horror suspense thriller "Paranormal Activity: The Ghost Dimension." Directed by first time feature director Gregory Plotkin, who was the film editor for "Paranormal Activity 2, 3 & 4" and "Paranormal Activity: The Marked Ones," it stars Katie Featherston, Demi Lovato and Tyler Craig. The first five episodes of the "Paranormal" franchise that began in 2009 have grossed $107.9 million in domestic theatres. The films' budgets are in the micro area of $5 million, making them very profitable releases for Paramount. Mar. 20 is opening day for Lionsgate and Summit Entertainment's sci-fi action adventure "Insurgent," the latest episode in the franchise based on Veronica Roth's dystopian book trilogy that began last year with "Divergent." Directed by Robert Schwentke ("R.I.P.D. "), it stars Shailene Woodley, Kate Winslet, Theo James and Ansel Elgort. loves while grappling with looming war between factions categorized by virtues, her ownconflicted feelings, new discoveries,and shifting relationships, all whileembracing and coming to termswith her own divergence. "Divergent" opened last Mar. 21 to $54.6 million and went on to do $150.9 million in domestic theatres. APRIL: Universal Pictures and Relativity Media's PG-13 action crime thriller "Furious 7" was to have opened last summer, but was moved back after the tragic death of Paul Walker. Franchise fans will be lining up when it hits theatres Apr. 3. Directed by James Wan ("The Conjuring"), it stars Vin Diesel, Paul Walker, Dwayne Johnson and Jason Statham. In "F7," Deckard Shaw (Statham) seeks revenge for his brother's death against Dominic Torretto(Diesel) and his crew. Since "The Fast and Furious" franchise began in 2001, its first six episodes have grossed $937.8 million domestically. MAY: Marvel Studios and Disney's 3D fantasy action adventure "Avengers: Age of Ultron" will kick off the early summer May 1 and is one of the year's most highly anticipated titles. Directed by "The Avengers" director Joss Whedon, its ensemble cast includes: Robert Downey Jr., Chris Hemsworth, Mark Ruffalo, Chris Evans, Scarlett Johansson, Jeremy Renner, Don Cheadle, Aaron Taylor-Johnson, Elizabeth Olsen, Paul Bettany, Cobie Smulders, Stellan Skarsgard, James Spader and Samuel L. Jackson. In "Ultron," according to Marvel, "When Tony Stark tries to jumpstart a dormant peacekeeping program, things go awry and Earth's Mightiest Heroes, including Iron Man, Captain America, Thor, The Incredible Hulk, Black Widow and Hawkeye are put to the ultimate test as the fate of the planet hangs in the balance. As the villainous Ultron emerges, it is up to The Avengers to stop him from enacting his terrible plans, and soon uneasy alliances and unexpected action pave the way for an epic and unique global adventure." 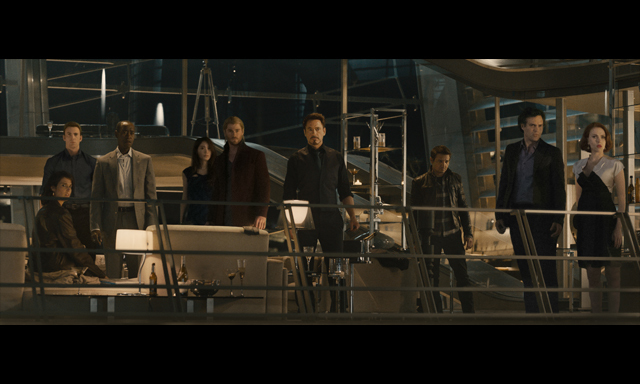 "Avengers" opened May 4, 2012 to a phenomenal $207.4 million and ultimately did $623.4 million domestically. It grossed $895.2 million in international theatres, bringing its global cume to $1.5 billion. JUNE: Another powerhouse franchise sequel descends upon the multiplexes June 12 with Universal, Legendary Pictures and Amblin Entertainment's 3D sci-fi action adventure "Jurassic World." Directed by Colin Trevorrow ("Safety Not Guaranteed"), it stars Chris Patt, Bryce Dallas Howard, Judy Greer and Ty Simpkins. "JW" takes place 22 years after the events of the original blockbuster"Jurassic Park,"which Steven Spielberg directed. A fully operational dinosaur theme park is now part of a new resort on Isla Nublar. Over the past decade, attendance has been declining, so management builds a new attraction to revitalize the park. Unfortunately, things go dangerously downhill from there. The franchise's first three episodes have grossed $767.3 million domestically. The originalopened June 11, 1993 to $47 million and did $357.1 million domestically, which was dinosaur sized business at the time. Since then, reissues have boosted its domestic cume to $402.5 million. Moviegoers looking for some summer laughs will find them when Universal's comedy "Ted 2" opens June 26. Directed by Seth MacFarlane, who directed the 2012 original, it stars Mark Whalberg, Liam Neeson and Amanda Seyfried with MacFarlane once again voicing the foul-mouthed talking bear Ted. In the sequel, John Bennett (Whalberg) has a new love interest, which leads to new problems with Ted. The original opened June 29, 2012 to $54.4 million and ended up grossing $218.8 million domestically. Bottom line:Those are just 10 highlights from the first half of 2015. Check out what's looming large for the rest of the year here next week.